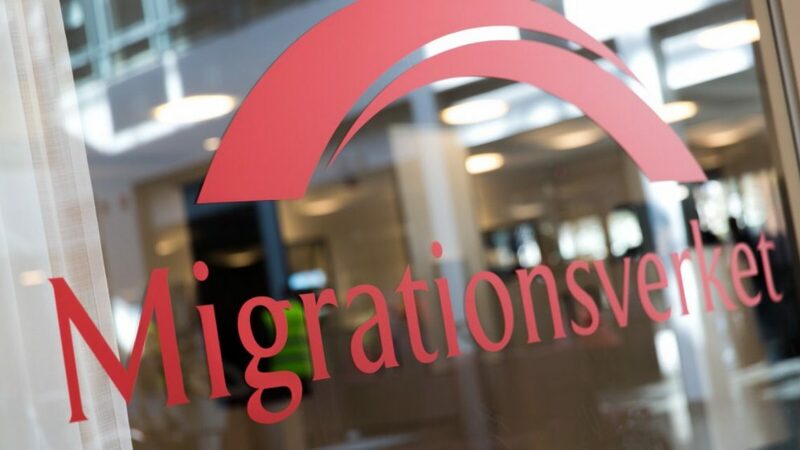 The Stockholm migration department has committed an act of forgery and violated the right of an asylum seeker to an interpreter. Besides, the department officials have disregarded the filed letter of attorney and refused to cooperate with the female refugee’s representatives, without any legal reason. The officials insisted on talking to the grantor personally, which contradicts the Swedish law and Convention Relating to the Status of Refugees. A person has the right to choose who will represent their interests in official agencies, and to enjoy the right one simply has to express their will in an application and certify it by their own and the attesting witness’ signatures. The incident took place on January 11, 2019. “This is about a young woman, mother of three little kids. The eldest is four years old, and the youngest is seven months. According to our records, this family do need an asylum, they are being persecuted in their homeland for political reasons. Sweden is not the first country they have sought salvation in. My principal’s husband was deported from Germany after several years of waiting for refugee status. The man is in grave danger. To avoid it, his wife came to Sweden and ‘surrendered’ to the authorities here. The refugees say that in Germany the family was provided with a disingenuous interpreter, who told the agency officials during the interview that in fact the Chechen family had no problems and they had arrived in Europe ‘to get an allowance’. Sure thing, such a translation left them literally no chance to stay in the country. The ‘Memorial’ human rights center interceded for them, but they were expelled anyway. Because of the previous failure with the Russian-speaking interpreter, my principal has asked for a Chechen one this time. We waited in line for several hours and finally got to an Arab female clerk. We filled out a preliminary form and pointed out that we needed a Chechen interpreter. The clerk asked us to note at least one more language. We added Russian, but noted it as a last resort. The full interview had to be in Chechen only. They said okay, we’re looking for a specialist. And then they just summoned a Russian-speaking clerk named Irina. It was obvious they hadn’t even tried to find a required interpreter. Besides, we found a forgery: the application of my principal contained Russian only, and the Chechen language had been deleted! I believe the senior executives of the migration agency have a perfect opportunity to find the employees responsible for that. They know the date and time of our visit, and we have drawn up a statement on the incident and submitted it to several agencies. However, our misfortunes were far from being over. We wanted to put Chechen back in the application form for further actions, namely, the interview, where the female refugee would have to give the complete personal data to the public prosecutor and lay out the reasons for fleeing. Let me remind you that the woman arrived here with three little children. Any mother knows that such a situation limits your actions to a great extent. That is why she gave me the mandate to speak with officials on her behalf. They refused to accept the document from me! They required some additional papers and presence of the applicant. But the point of granting a letter of attorney is to entrust someone else with a case and not attend personally. According to the rules of the agency, this simple procedure takes a couple of seconds: putting the data down, putting the stamp, talking to the representative. Being social activists, we have gone through that process more than once. Although, we have never been to Stockholm with a migrant woman before. For instance, officials of the department of Malmö city in Sweden we appealed to before are very competent and we’ve never had any issues working with them. Besides, they have experts on Caucasian specifics. This time we had no second chance: if a person applies for asylum in one city, they have no right to choose another one. But we did not expect that the migration department in the capital was going to deliberately complicate every single step of the procedure. Tellingly, many of the female officials and assistants at the Migration agency that were inside the reception hall that day, spoke Russian. Perhaps, this is the ‘Russian world’ that people try to avoid as much as possible. And that was taking place in Sweden, where we usually see respect for human rights! Eventually, the letter of attorney was accepted and I began to explain the importance of a Chechen interpreter and prosecutor to conduct the interview. My client is wary of Russian speakers, Russians, Russian representatives, because the Chechens and Russia are in conflict, and it is the Russian authorities that are persecuting them. Don’t make a refugee talk to a person she is scared of; she doesn’t want to jeopardize safety of her family in Chechnya. If the information on her request leaks and gets to her homeland, they might have problems with the authorities. Yes, we know that officials here sign a non-disclosure agreement, but if any data is given to the Russian special services, there’s no way we will be able to prove that the data is the reason our principals and their families were compromised. Despite our persuasion and requests, the Irina showed up and said she had the case already and that was out of the question. The person who deleted the request for a Chechen interpreter from the application form, is responsible for the fact that my principal could not enjoy her right to international protection. As the ‘icing on the cake’, the aggressive officials called security guards to chuck out the representative of a mother with many children”. Vayfond has filed a complaint about the violations with the Ombudsman of Justice. The Ombudsman executive office replied that the described actions are intolerable, but taking any relevant measures is outside the Ombudsman’ purview, so they have forwarded the complaint to the migration service administration. No substantial measures have taken yet. The hero of the story had to go to the interview with a Russian-speaking interpreter. The woman did not dare to disclose all the information and did not provide a certificate from the human rights advocates. Because of that her chances to get asylum in Sweden dwindled almost to nothing. And the chances had been quite good in the light of the ‘newly discovered facts’ and despite the Dublin II Regulation obliging refugees to get back to the first country they sought asylum in. Vayfond puts a special focus on the fact that choosing a Chechen interpreter implied no national-origin discrimination, but was just a matter of safety. Meanwhile, it is very important to find out why such an incident was even possible. Why did an agency aimed at making refugees’ lives easier do the opposite? Why are a good part of the employees Russian speakers? Are they refugees or do they hide a red passport with an eagle engraved on it, being Russian citizens ready to smoke out enemies of the government abroad? Whose interests does this or that clerk and interpreter serve by humiliating an asylum seeker and incorrectly translating a refugee’s story to the prosecutor? On whose behalf does an official deleting a request for a required interpreter and putting down another language at their own discretion, act? We will undoubtedly ask the Sweden authorities these questions until we get answers. For now, we have asked our compatriots, being refugees in various European countries, to describe their bad experience of dealing with migration authorities. We have received several stories. Let us remind you that this is about state services aimed at helping refugees. This is about officials entrusted by the European Union to help with acclimation of people who seek salvation and protection. “We asked to not provide us with a Chechen interpreter; we had our reasons to wary. But it was just a Chechen woman who came to my wife’s interview! She gave her business card and offered to apply to her, now on a commercial basis. Advertising this way is illegal”. “Now the number on in the Ausländer gehört, Immigrant Affairs Division of our district, is an official hated by all Chechens, because he never gave any affirmative answer to any of their letters. They even tried to sue him. And won. European taxpayers bear losses because of people like him, since he causes damage, being a state official, and the state is answerable with its budget. He refused to give me a student assignment, though the law enables me to use educational services”. “There was a Russian interpreter at the ‘family reunion’ meeting, she was very biased. I had a feeling I had kidnapped someone else’s kids. And the kids were crying and panicking. I couldn’t get a word in edgewise. They threatened me to kick me out and talk to the kids alone. The pressure was so heavy. I think this is a really good way to expose a kidnapper or an organ harvester. But check first before bullying! I suppose at that moment I would have chosen any other Chechen interpreter instead of that woman. Juvenile justice in Europe is stacked against parents. They can easily take your children away. I had a very poor command of the language, but I could understand that she was translating about 20 percent of what I was saying, and even less of what I was being told”. “Do interpreters have some Nazi spirit? Definitely yes! You often face intolerance. I think there are no more German employees in our immigrant agency, the entire staff is immigrants themselves. Once I overheard some backstage conversation. I could already understand the language quite well then. They were discussing a refugee, they decided to expel him. The person didn’t know about the decision yet, but the officials were rubbing their hands and congratulating each other on that success”.